William Curtiss Clark, 62, passed away on Tuesday, January 29, 2019. Born May 21, 1956 in Athens, Curtiss was the son of the late William Frank Clark and Mary Sue Clark. He graduated from Clarke Central High School in 1974. 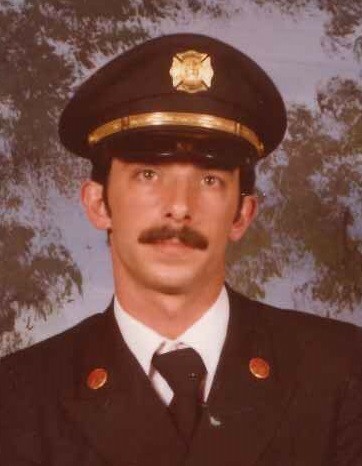 He joined the Athens-Clarke County Fire Department in 1979 and had a 36-year career before retiring in 2015. Curtiss also started Clark Glass and Mirror in the 80’s which is still in business today. He was an avid fisherman and loved the outdoors. His wife, children and grandchildren were the loves of his life along with his beloved dogs, Sophie and Cooper. His kindness and caring for others made him an exceptional husband, father and grandfather. Memorial services will be held Saturday, February 2, 2019 at 1:00 pm at Lord and Stephens, East. The family will receive friends prior to the service from 11:00 am until 1:00 pm at the funeral home. In lieu of flowers, memorials may be made to St. Mary’s Hospice House, 1660 Jennings Mill Road, Watkinsville, GA 30677 or Madison Oglethorpe Animal Shelter, 1888 Colbert Danielsville Road, Danielsville, GA 30633.